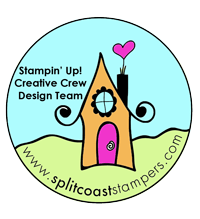 Gifts Galore | Stampers With Altitude!!! Well, my good friend, Lorinda is moving. This makes me very very sad. However, I couldn’t let this event go past without giving her a gift. This was a fun one to create. 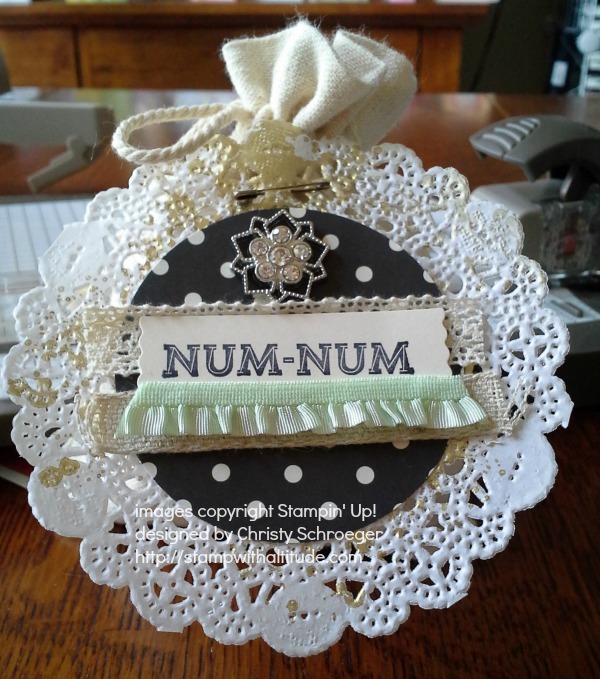 It’s a Tea Lace Paper Doily with a punch of DSP, some ribbon, a sentiment and a few embellishments. One of which is a safety pin. It’s how I got the doily to stick to the bag! What’s inside the bag? Lorinda’s favorite: Stale (yes, stale) Peppermint Patties! What can I say? It’s her favorite!